A complete protection and anti-bacteria solution & anti-friction nappy cream. Made with pure shea butter, gentle application soothe baby's tender sensitive skin, diaper rash while protects. 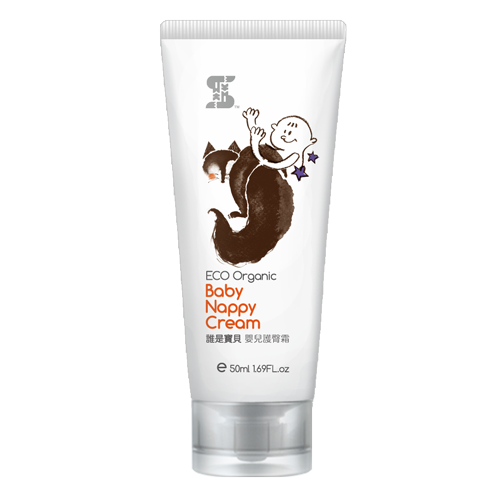 Calm your baby's restless night with this Safe & Non-greasy Nappy Cream with Pure r Organic Shea Butter. Stay away from Paraben, Talc and Mineral Oil! Able to sooth mosquito bites, eczema rashes, and calm itchiness while healing. Suitable Skin Type: All Skin Type especially sensitive, inflamed, rashes, irritant and discomfort skin.